"And what do you think happened?" 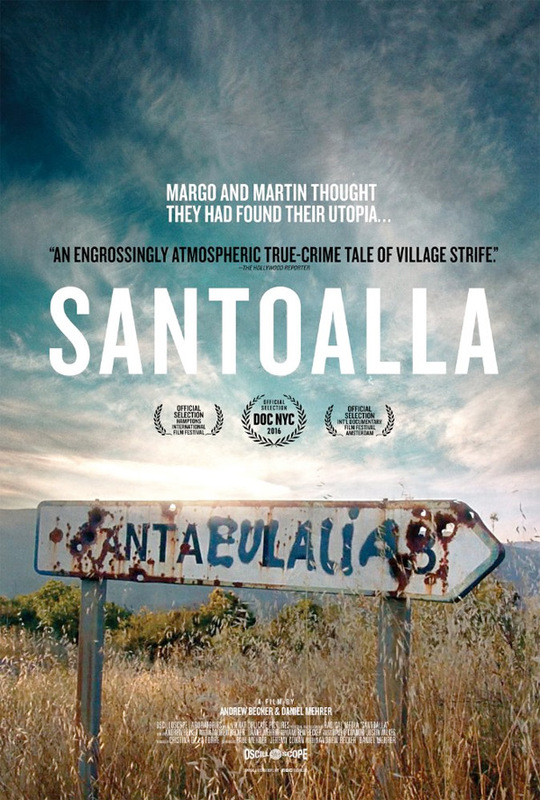 Oscilloscope Labs has debuted an official trailer for the acclaimed documentary Santoalla, described as a "a true crime film as gripping as Making a Murderer or Serial." The intimate documentary tells the story of a Dutch couple, Martin and Margo Verfondern, who moved to a remote Spanish village on the island of Santoalla to start a new life living off of the land. Things seemed to be great at first but eventually they had some conflicts with the local Spanish residents, and then one day Martin disappeared. This doc tries to investigate what happened and looks back at the story of this couple and their desire for a good life. "As this once forgotten landscape is thrust into the center of controversy, Margo finds herself searching not only for answers, but for the strength to persevere." This looks a bit scary. Progressive Dutch couple, Martin Verfondern and Margo Pool, had only one dream – to live off the land, far from the constraints and complications of the city. But, when they arrive in the remote, Spanish village of Santoalla, the foreigners challenge the traditions of the Rodríguez family, the only remaining residents, igniting a decade-long conflict that culminates in Martin's mysterious disappearance. Santoalla is directed by filmmakers Andrew Becker (a producer + former assistant editor) & Daniel Mehrer, both making their feature-length directorial debut. This first premiered at the Edinburgh and Hamptons Film Festivals last fall. Oscilloscope Labs will open Santoalla in select theaters starting July 19th this summer. Curious?